Many of these issues can be avoided by making everyone aware and responsible for their actions. This is something BB divers work on every day with our own divers and snorkelers, and by making others aware of bad practices. We are thankfull for the beauty which Mother Nature lets us enjoy every day, and will do everything we can to help preserve this gift. We strive for conservation aware dives and trips so future generations can enjoy these grand coral reefs as much as we can. To be eco minded is our spirit and our legacy to the future. 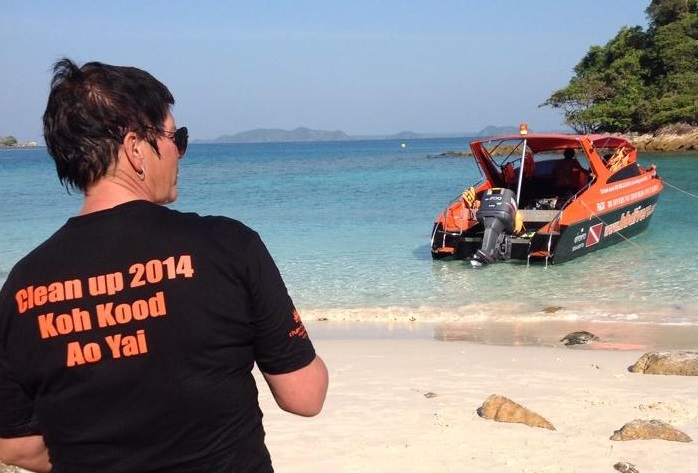 We are proud to be part of the great movement Trash hero, started on Koh Chang April 2018. 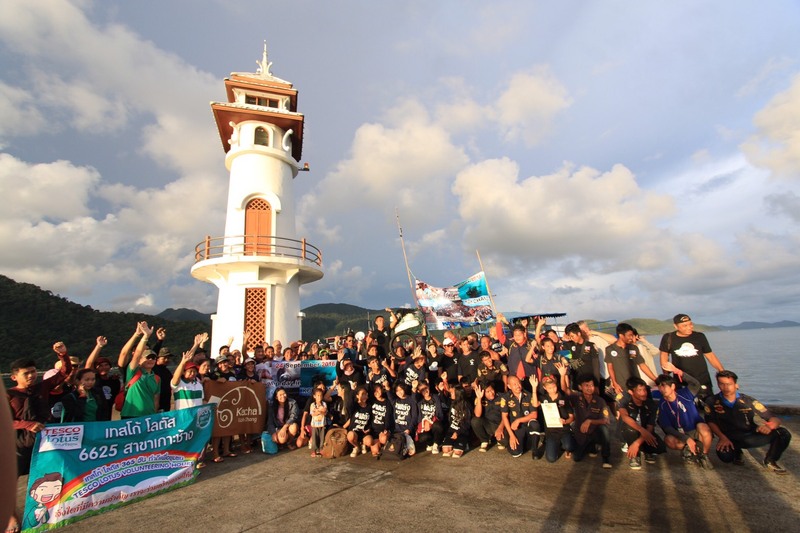 A few locals got together and decided to join this powerful organization to get Koh Chang green and clean and raise awareness about the problems with trash. Everybody is welcome on the weekly Wednesday clean ups, the calender is published on the Trash hero facebookpage. Drinking water, we take 30 liter bottles on the boat and serve it with ice made of drinking water. This way there is less litter, and plastic bottles don’t end up in the sea when it is windy or wavy. Soft drinks in cans have been replaced by big bottles, thus cutting down on litter, we use and wash plastic cups instead of using disposable ones. Lunch is served on plates, no styrofoam or unnecessary plastic bags. 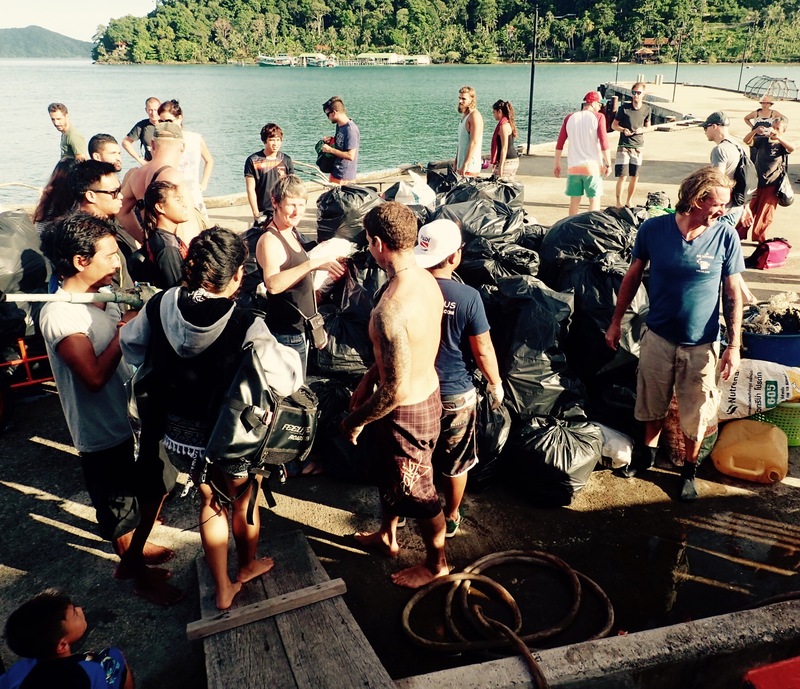 All divemasters and instructors collect rubbish while diving, and recommend other divers to do so. Bio diesel is used for the boat. Boat share, we invite other dive schools in low season to join on the boat, this cuts down on petrol use and the pollution that comes with it. Local awareness in Bang Bao village is slowly growing. We take part in the committee’ Bang Bao clean and green”, which plans actions to get the living space cleaner and healthier around the pier. 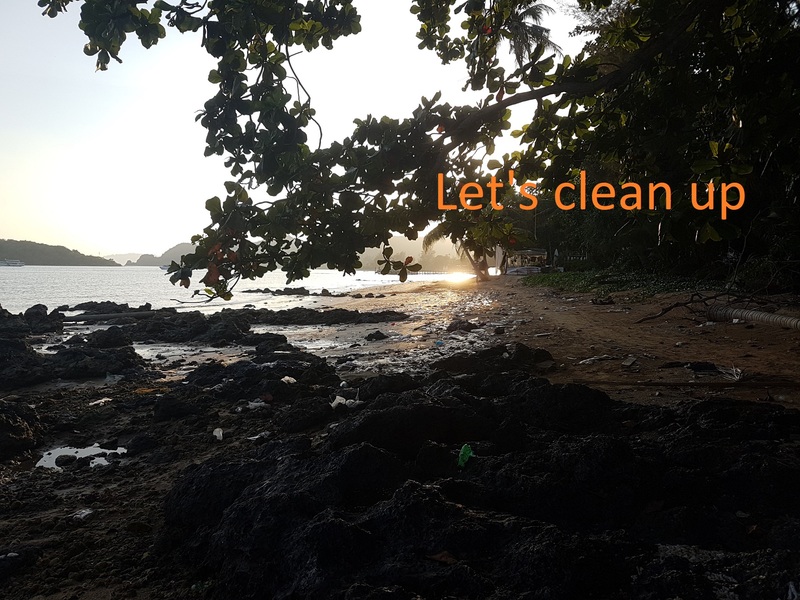 Every low season we organize a few underwater cleanup projects ourselves. 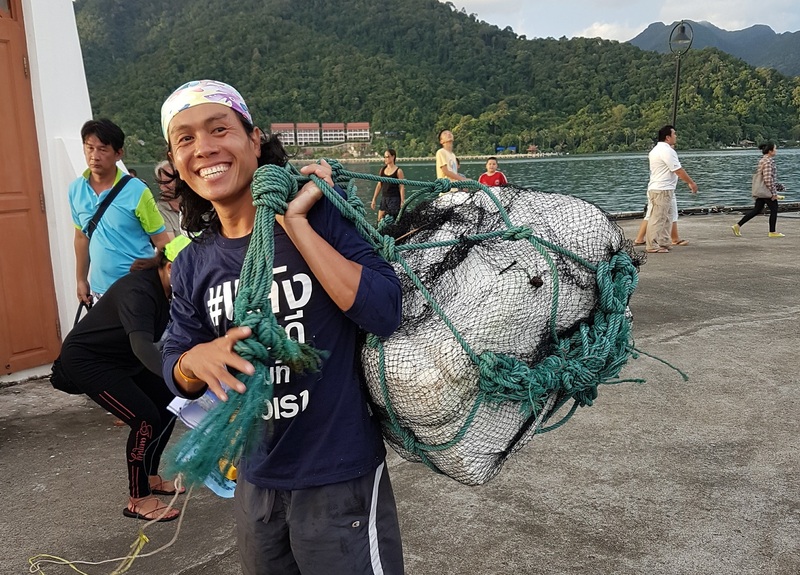 Our own staff and divemaster trainees are happy to help, and for every clean up we ask guests to join for a free diving day, so they can help to collect rubbish. This is not only useful to get the trash out of the water but it is fun as well. 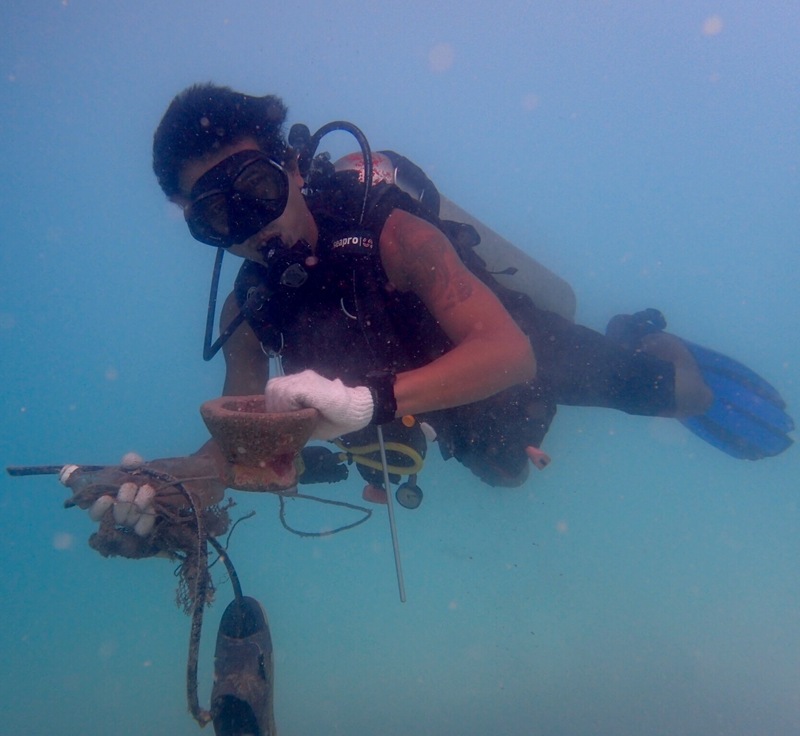 We offer coral watch diving trips in cooperation with project aware. We join and support the yearly clean ups from Dasta and National Park. 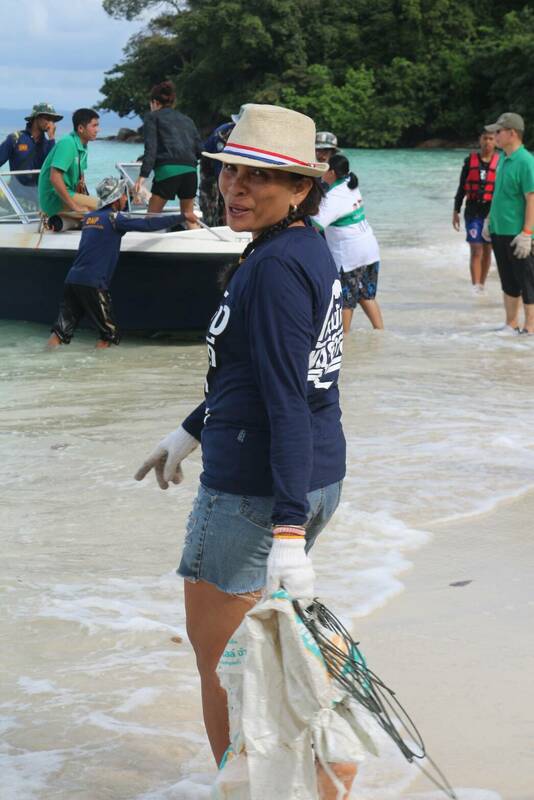 International clean up day, day of the reef. 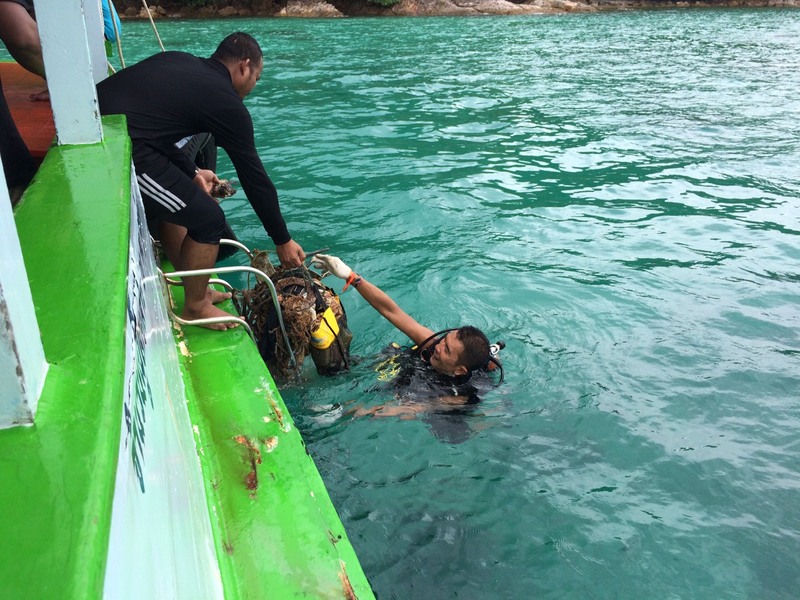 Nemo project, reintroduction of the clownfish on Koh Rang national Park. Active cooperation in the planning and sinking of a new artificial reef the HTMS Chang, which became a great reef over the years and takes away some of the "load" of other reefs. One of the courses we teach is the eco diver course from reefcheck.org. An eco diver learns all about coral reefs, its threats and its conservation. This is a 4 day course on coral threats and conservation. 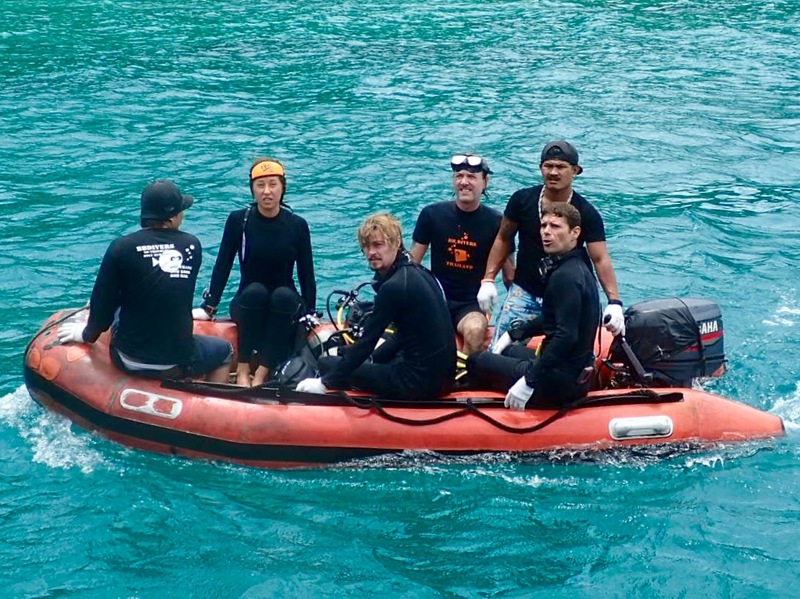 The course includes theory on reef conservation and fish recognition, buoyancy training, and data taking on the coral reef. The data is collected by reef check, and is used to survey the reefs around the world. It is an important step towards mapping the existing reefs and their condition. Eco diver package with reef data taking. For those interested in cooperating with the mapping of the reefs, there is a full dive package, including a week of dive training, and 3 weeks of reef data taking. 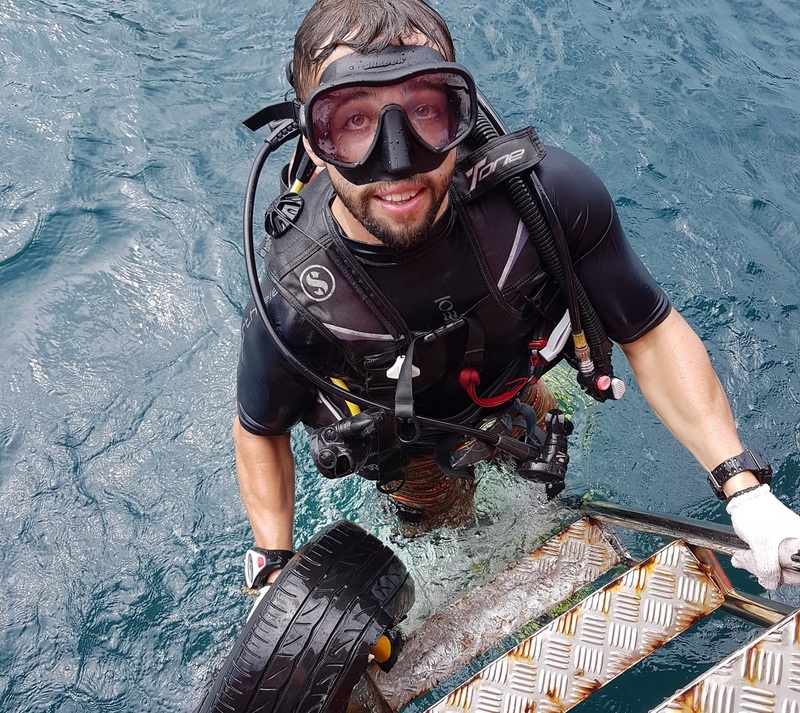 BB divers is awarded "Reef Check Facility", thanks to the effort we make in working with environment minded divers, and train the new "eco divers course" to help and protect the living reef.